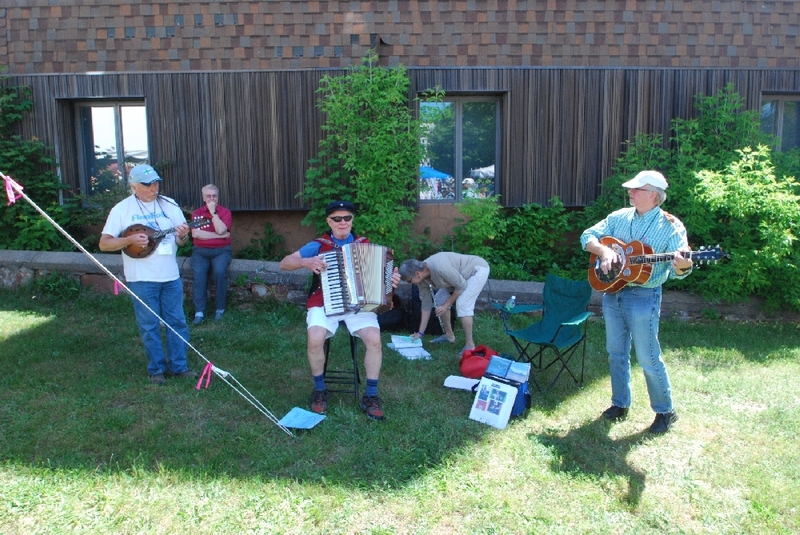 The 26th Annual Bridgefest Celebration of the 54 year old Portage Lake Lift Bridge, spanning the Keweenaw Waterway between the sister cities of Hancock and Houghton,MI. 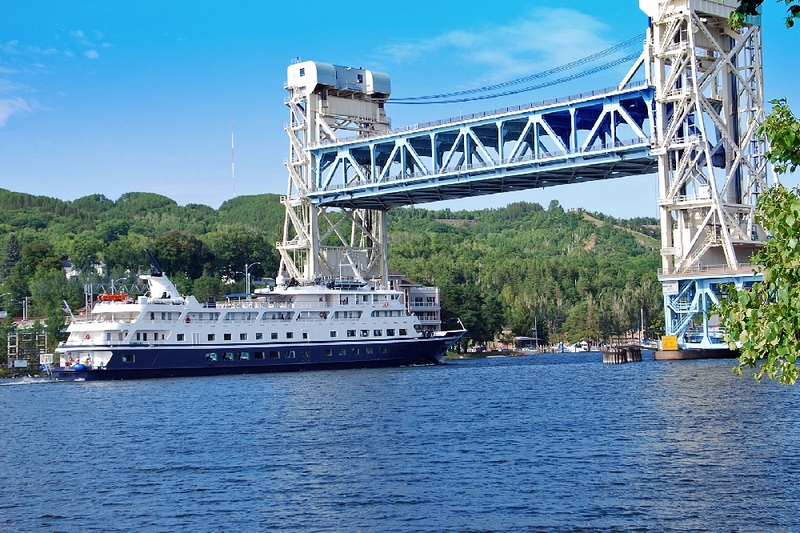 Our Bridge feature photo this year is of the Cruise Ship Yorktown, seen leaving after a stop over en route from Duluth, MN to New York City last year. 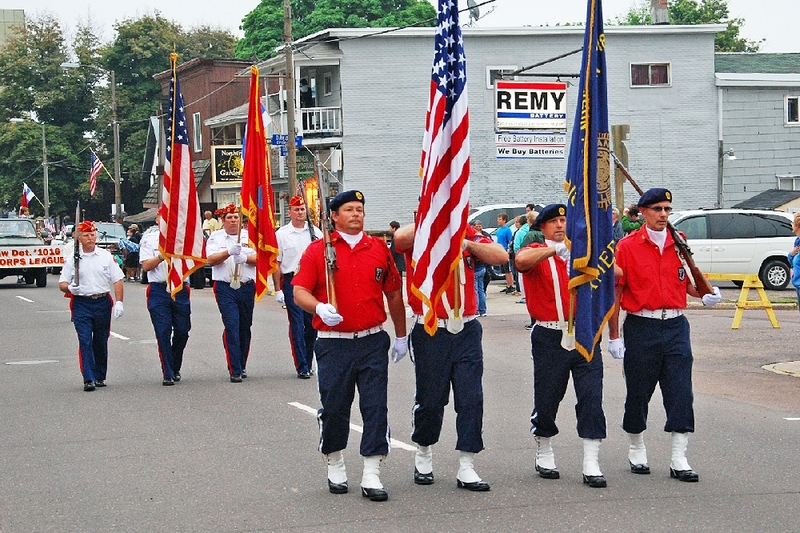 Our Parade Color Guards are the Alfred Erickson Post 186, American Legion, Hancock, and, the Marine Corps League 1016 (behind). 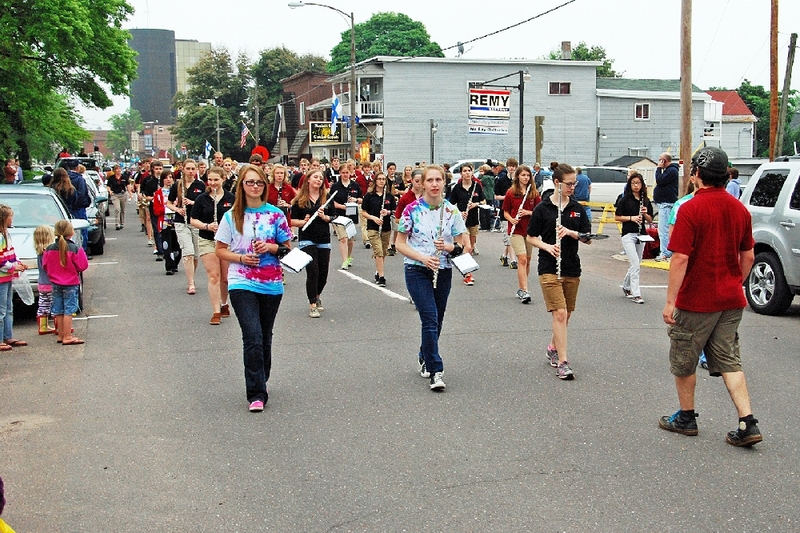 The combined Hancock / Houghton High School Marching Bands. 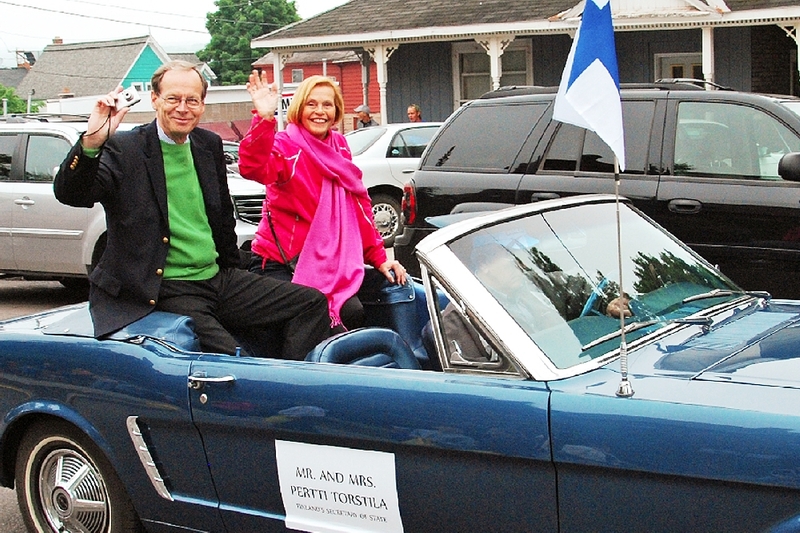 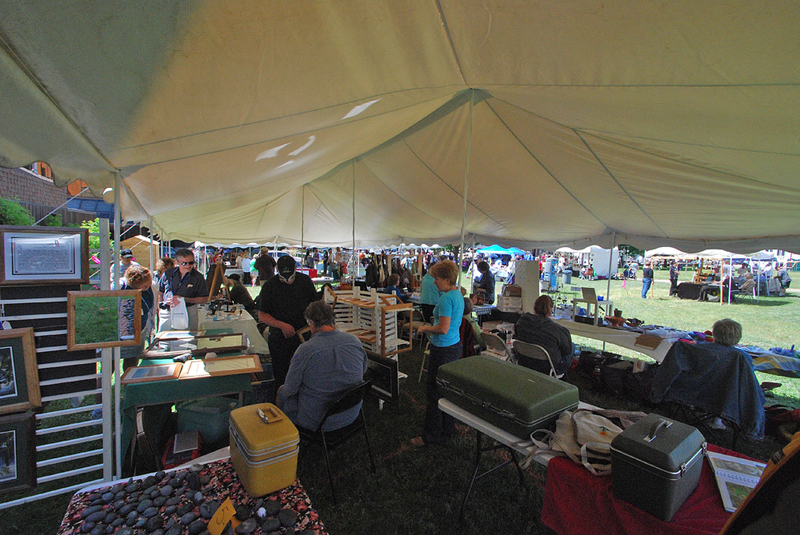 On hand for the area’s Finn Fest -2013, Mr. Pertti Torstila, Finland’s Secretary of State, and his wife Teva. 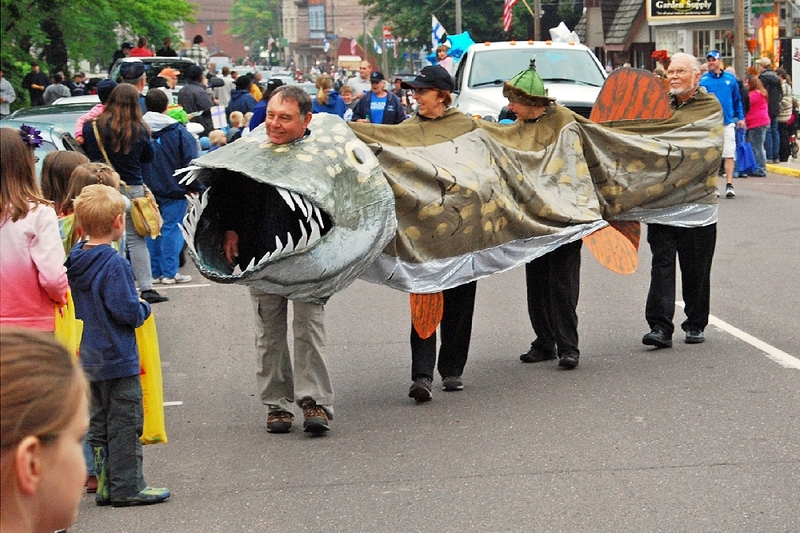 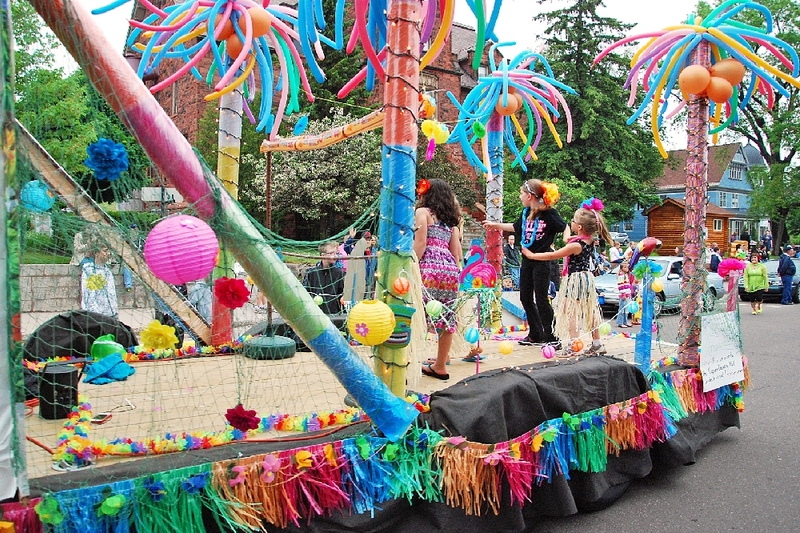 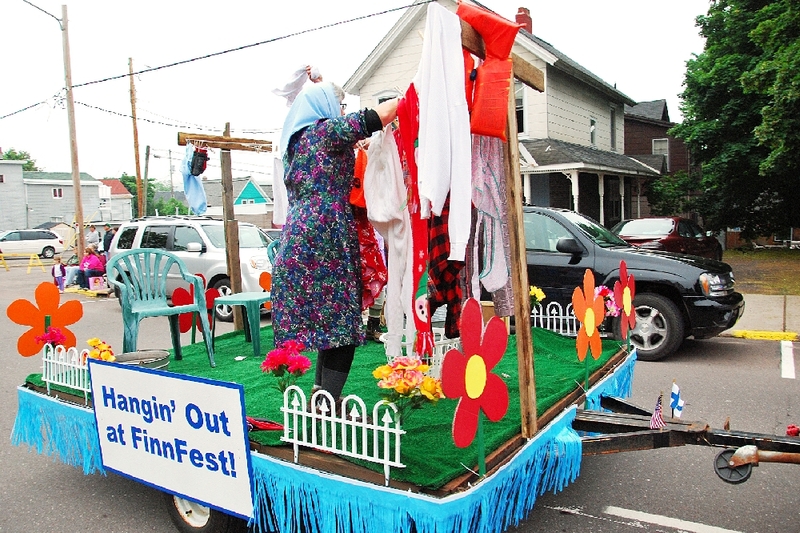 This humorous float to promote Finn Fest- 2013 ... with our rainy weather this spring and summer, the clothes should be quite clean. 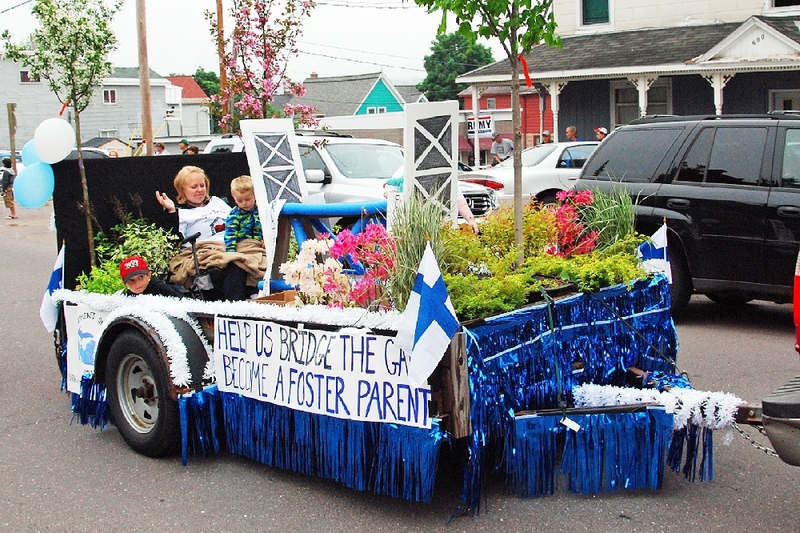 On a more serious note, a message to consider - become a foster parent. 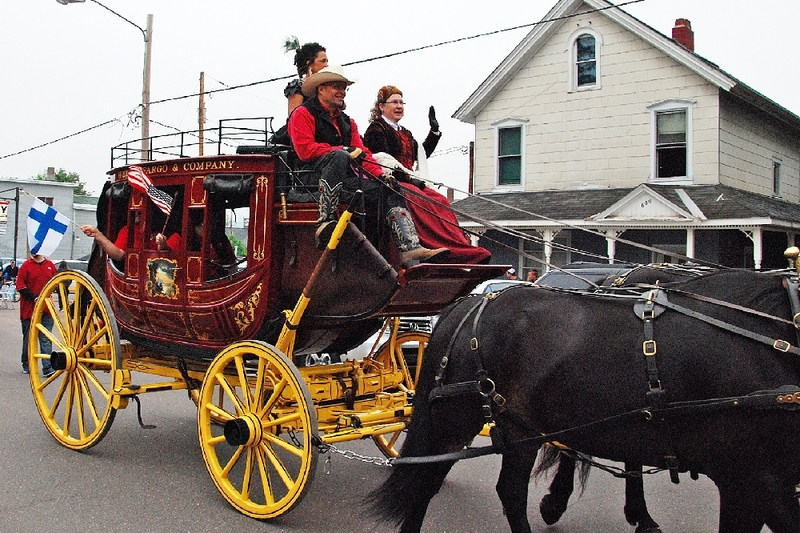 Wells Fargo Bank brought in their famous stage coach and horse team, which appears in events around the USA. 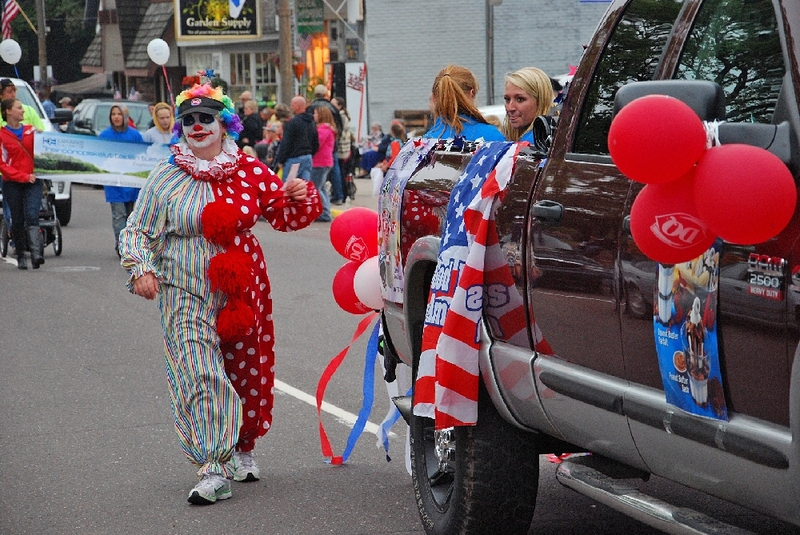 One of many clowns in this year’s Parade. 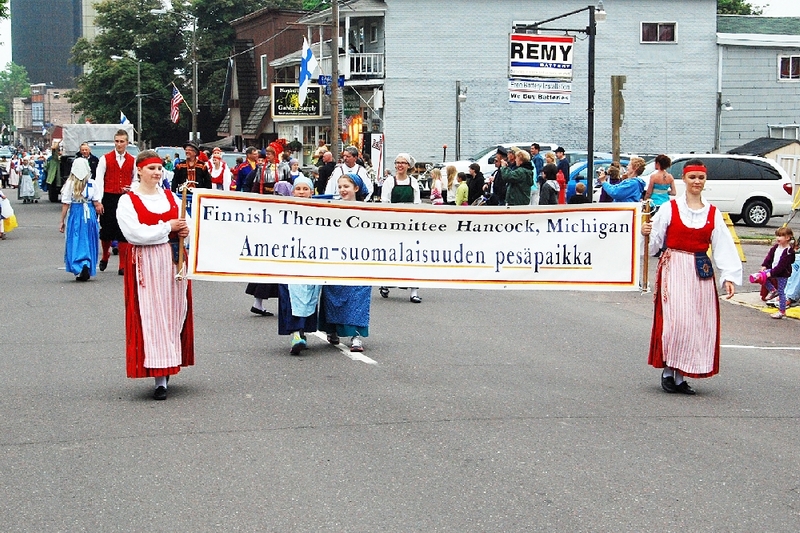 The Hancock Finnish Theme Committee, sponsors of the Mid Winter Heikinpaiva Celebration. 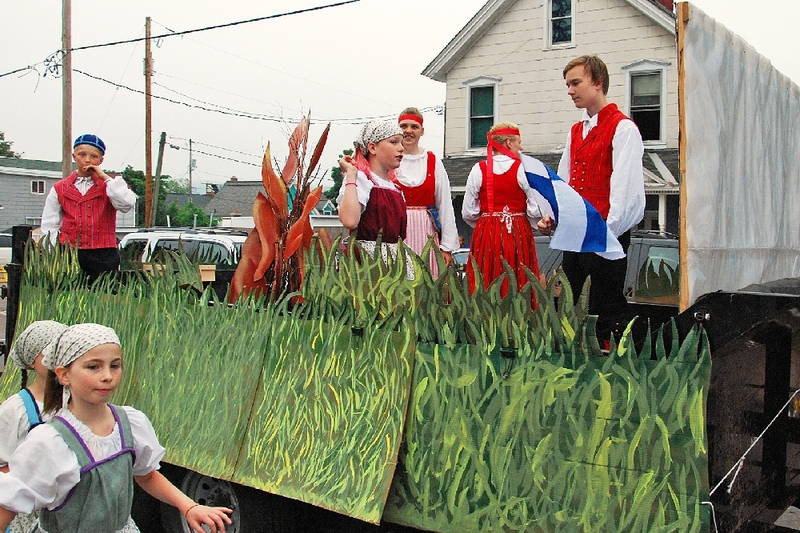 Some of the colorful Finnish costumes in evidence for Finn Fest 2013. 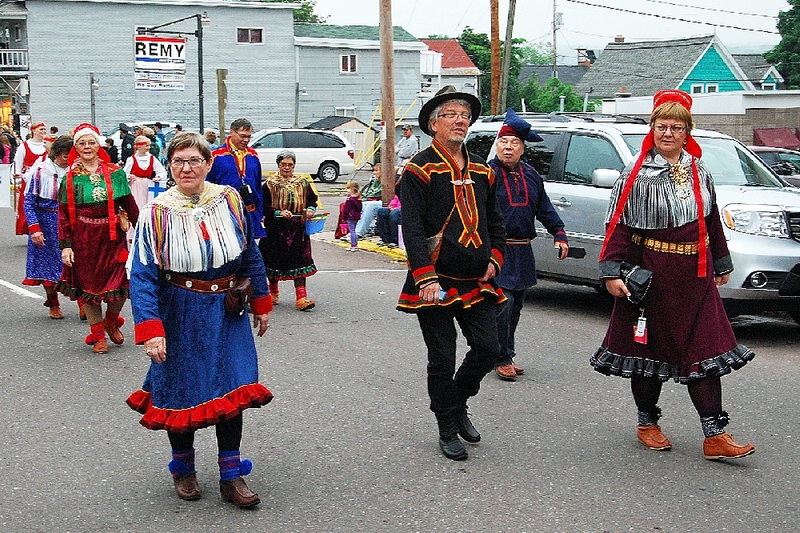 Some of the participants in the Salollampi Language Village. 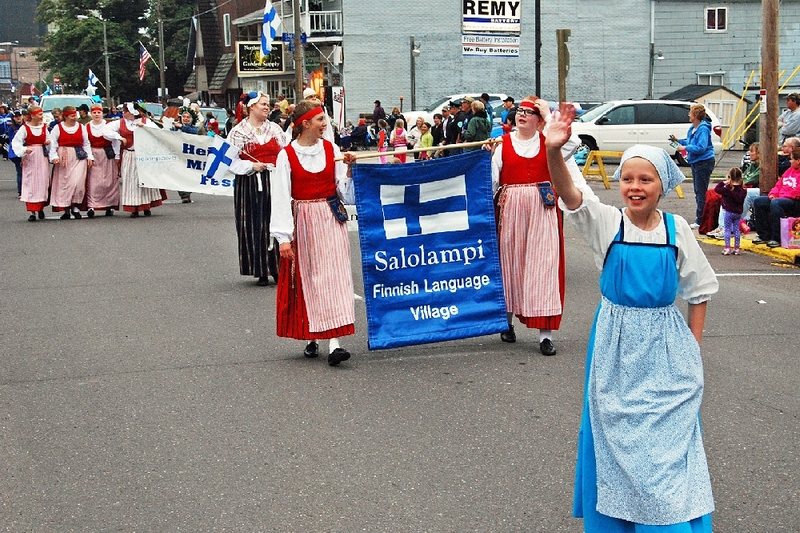 The Salolampi Finnish Language Village contingent. 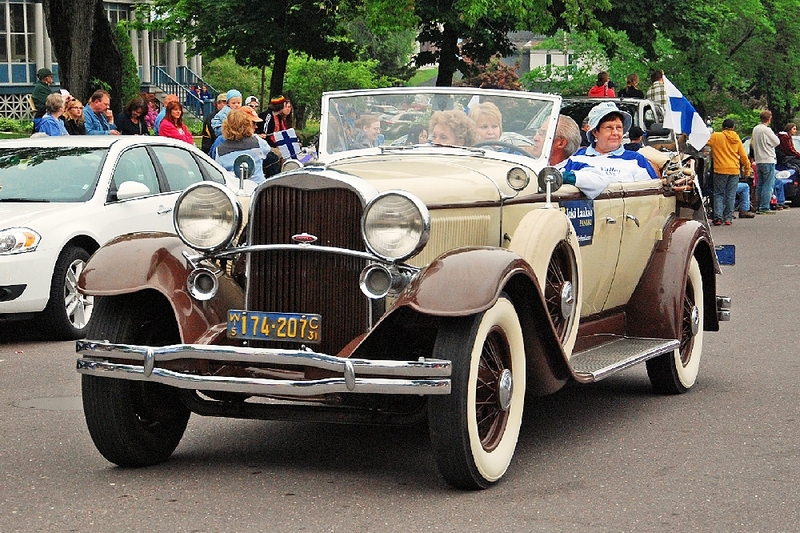 This antique touring roadster was a real gem, a beautiful restoration and an auto rarely seen these days. 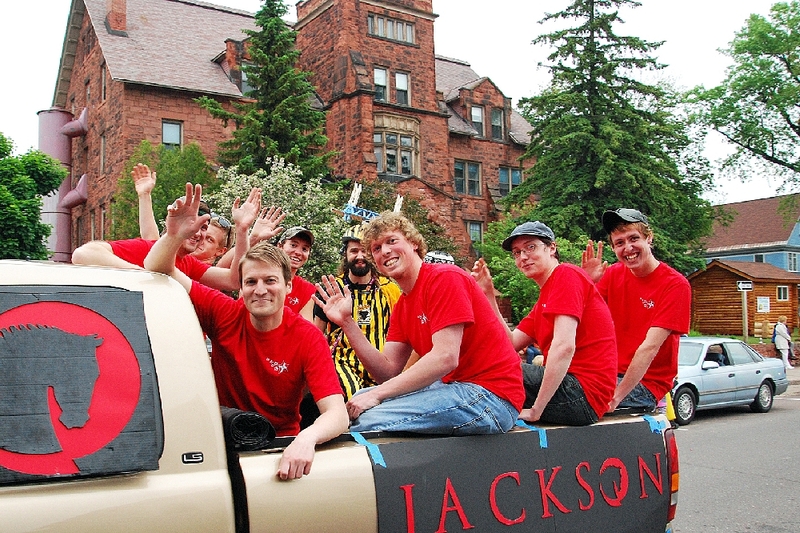 With Finlandia University’s Old Main Building in the background, this group is having a ball at Bridgefest. 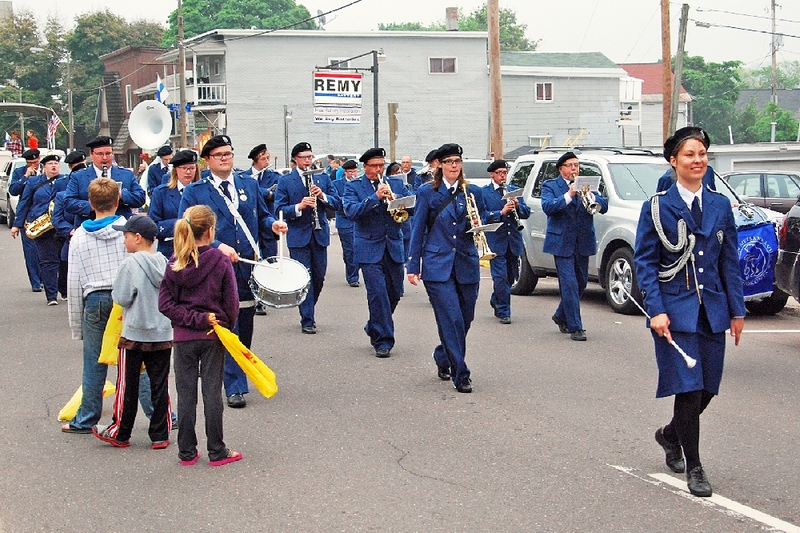 The Salvation Army Marching Band. 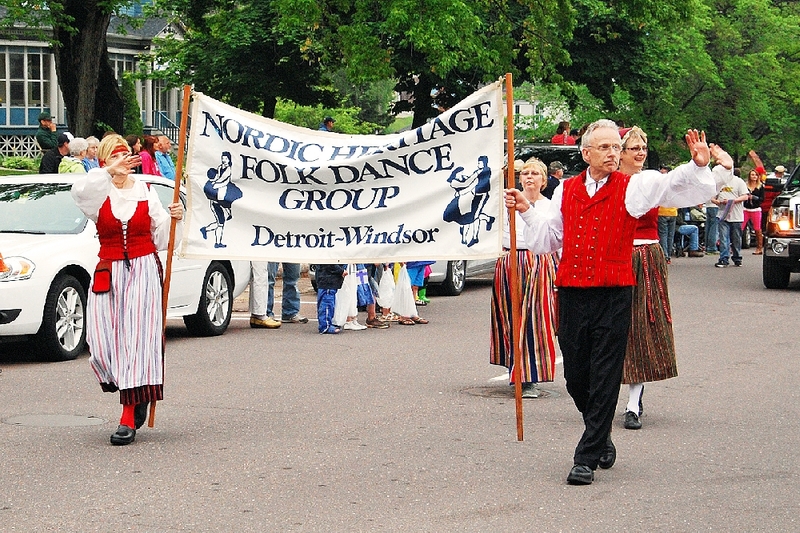 The Bridgefest Tori, in downtown Hancock, in front of Finlandia University’s Health and Sciences Building. 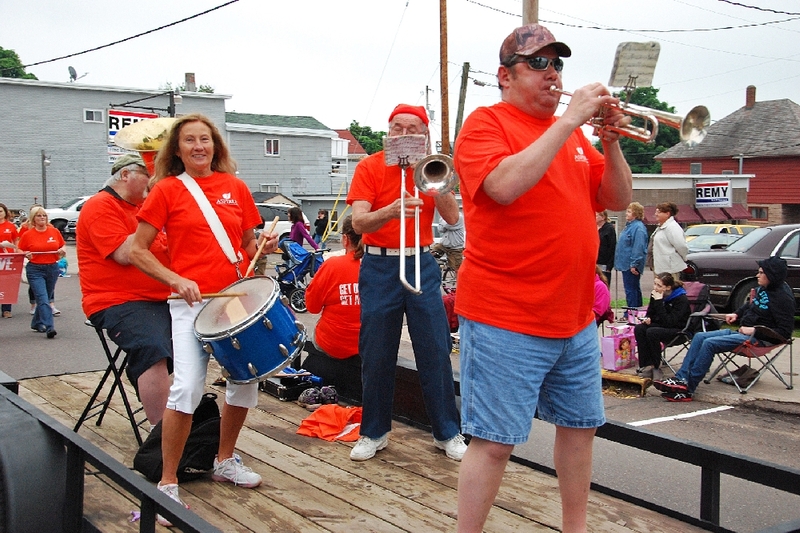 One of the many groups providing musical entertainment at the Tori all week. 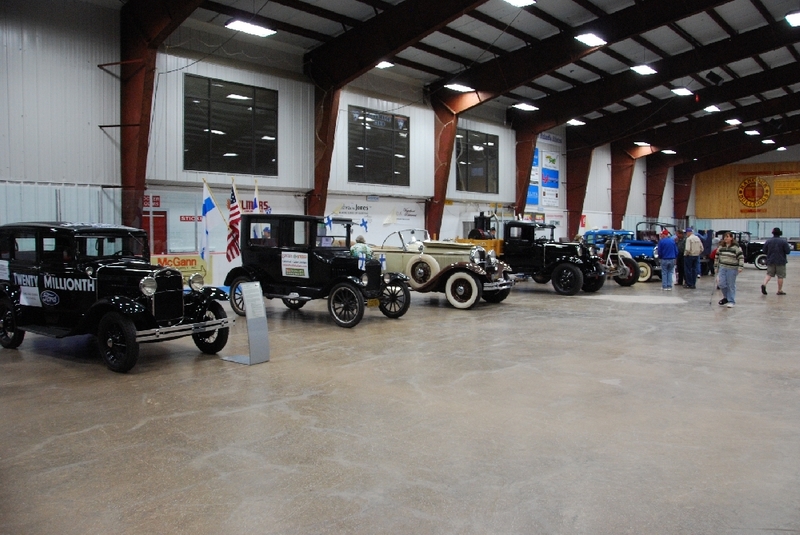 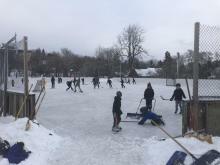 An antique car and tractor show was held in the Houghton County Ice Arena. 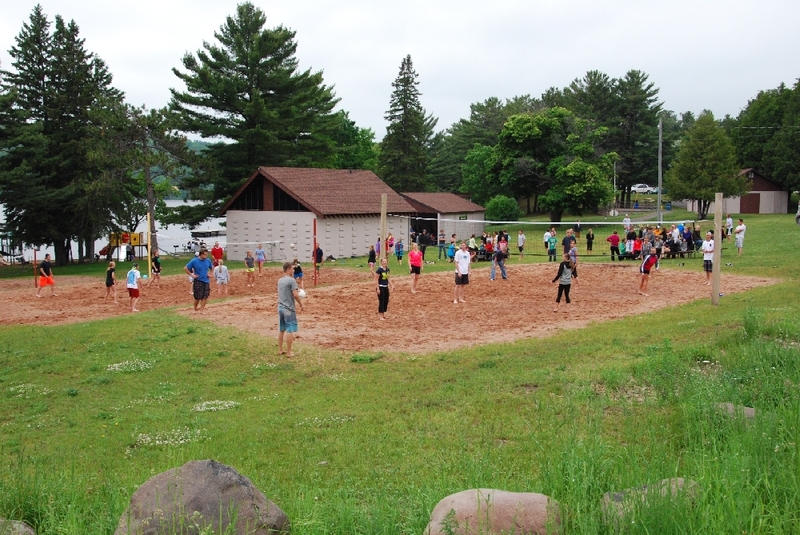 The Volleyball Championship finals are underway at the Hancock Beach courts. 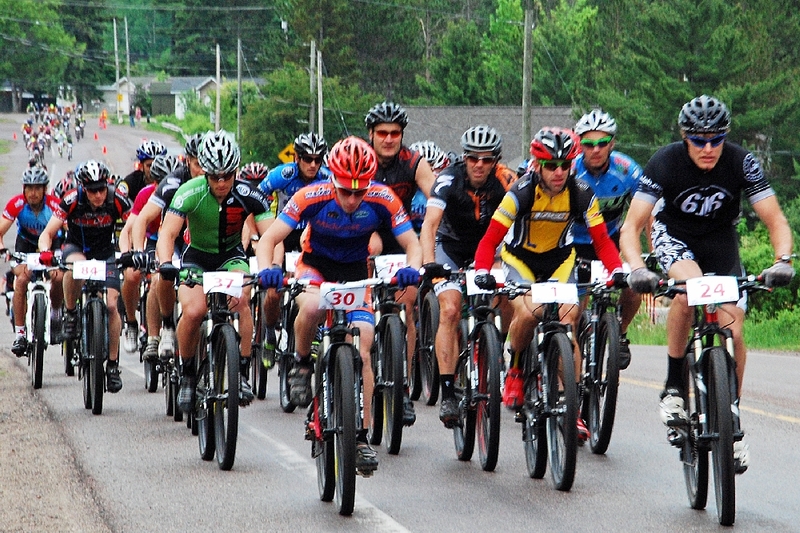 And the Annual Portage Health Chaindrive is underway with some 400 riders. 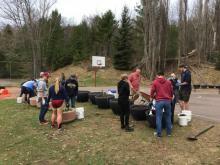 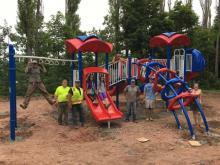 (For results, see link at top of page).